The Advocate has a blurb about DDD...it is scheduled for July 10! I can start counting down! This needs to be posted ya'll. Needs. 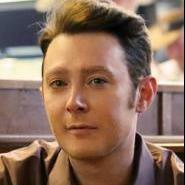 He looks Drop Dead Diva-licious! New twitter pic! Tweeter is at a photo shoot at Tori Spelling's House...something with the show Funny or Die..online videos? Doing some sort of comical gay show and he took this pic with Clay about 5-10 minutes ago..so Clay is in L.A...guy sure gets around! Hope everyone in the Raleigh area is okay..check in please! Passed south of us on the way to Raleigh. I'm not sure if a tornado actually touched down in the county south of us or the winds caused a lot of damage. We lucked out. Just limbs and branches but it did a great job of taking down the pollen from the trees. Right now the sun is shining and it 's about 70 degrees just a little windy. JMH is closer to Raleigh. Glad to hear everything is okay Fear, been raining here all day..no storms, just a steady rain. Made a pot of soup for dinner and biscuits. We got over the rain really quickly. I think the storm was faster than predicted. I hope your rain clears up soon Kim. Finally finished our tax return so I can relax a little. I'll bet Clay got his taken care of when he was in Atlanta. I thought I remembered that his taxes were handled by his law firm in Atlanta. Im such a tax geek, I'd love to see his tax return. We're OK here. Lilyshine and I drove to Seagrove, NC, to visit various potteries. Aside from one big thunderstorm that lasted 10 or 15 minutes, we didn't experience anything. But we almost drove back on a route that would have put us near the path of the one that destroyed a Lowe's and a bunch of other stuff in Sanford, and also it turned out we were about a half an hour behind a cell that went by my place, but again, had brought only heavy rain. I feel very lucky. The local news station has been broadcasting all night, not showing any prime-time shows at all. There are many areas of severe damage, and some deaths. I hope my mother's house in Raleigh which now belongs to my brother is OK.
Glad you are okay jmh and hope your mother's house is okay! Emily called a little while ago and I am babysitting Austin tomorrow...brightened up my week-end for sure! jmh, lilyshine and Fear glad you're all okay! I heard the Carolinas were going to get hit today. 84 Days until Clay is on DDD! The sun is shining! Reading around and mixed views on Clay doing the "Funny or Die"video...some think it is a good thing and some are not happy because they tend to be a bit irreverent and crude. But they are popular and I think probably something Clay would enjoy doing and a good way to get his name out there. Hopefully these little things are just busy work until he goes back to Broadway! I think it's a good move too. I've heard of Funny or Die and always meant to get over there to see what they do. I did see parts of one video that Charlie Sheen did for it where he was pretending to cook....I saw it on an entertainment news show of some sort. It was really funny! I'm just now getting to see footage from yesterday's Raleigh storms, and oh my god...how terrible for everyone! I did find some (cool to me) videos of some of the tornadoes that struck the area. There's a lot more video at the WRAL site too. For the Raleighites here, what's your other news stations I can check out? I am VERY glad everyone from the boards seems to be safe after the storms in Raleigh last night. I will, however, pray for the families deeply affected by this storm. Back from babysitting..Austin was not happy today when I got there...I think he was just tired; had to walk him around for about 30 minutes before he stopped crying and went to sleep...didn't help that mommy and daddy couldn't seem to get out the door...he get a little calmed down and then they would hear him and start up again. Finally they left for good and then I got him settled. After he slept, ate and had a diaper change, he was good to go. I haven't watched any of the videos yet from Funny or Die, but I think it is a good thing for Clay..he needs to let people see the funny side of himself. I think doing things like FOD and DDD are good for people to see what Clay is capable of. Leaving in about half hour for the great combination of Joe's Crab Shack for dinner and Elton John! What a great day-early wedding anniversary for my husband and I! Almost missed this...and then I really have to go! 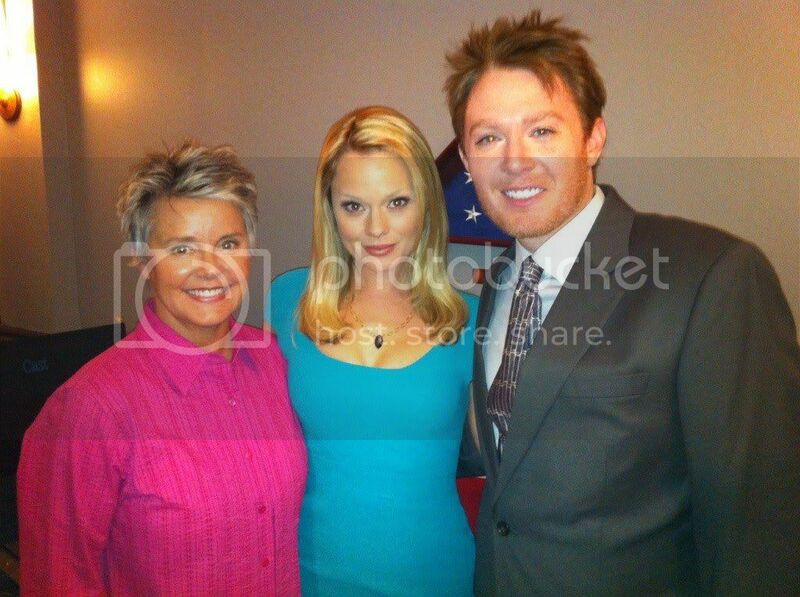 torianddeanAnd the adorable @ClayAiken in my bedroom for yesterday's Funny Or Die!It'll premiere in May! Very nice, can't wait to see this! Cu-ute!!! Looks like she got the leaning in pose while wearing her nightie. I see ldyj beat me ;-) LOVE the pic but the caption is what melted my heart! For the Raleighites here, what's your other news stations I can check out? So glad to hear everyone in NC is safe....I was quite worried this morning when I heard how bad it had been. I messaged my two friends who live in the Wilson area and was so relieved when I heard back from them, that they were ok. The video foot is unbelievable. So glad to hear everyone in NC is safe....I was quite worried this morning when I heard how bad it had been. I messaged my two friends who live in the Wilson area and was so relieved when I heard back from them, that they were ok. The video footage is unbelievable. Thanks for letting us know about them. Wilson was hit hard, so I am glad they are OK!